Deputy U.S. Marshal Bass Reeves appears as one of 'eight notable Oklahomans,' the 'most feared U.S. marshal in the Indian country.' That Reeves was also an African American who had spent his early life as a slave in Arkansas and Texas makes his accomplishments all the more remarkable. Bucking the odds ('I'm sorry, we didn't keep black people's history,' a clerk at one of Oklahoma's local historical societies answered a query), Art T. Burton sifts through fact and legend to discover the truth about one of the most outstanding peace officers in late nineteenth-century America-and perhaps the greatest lawman of the Wild West era. Fluent in Creek and other southern Native languages, physically powerful, skilled with firearms, and a master of disguise, Reeves was exceptionally adept at apprehending fugitives and outlaws, and his exploits were legendary in Oklahoma and Arkansas. 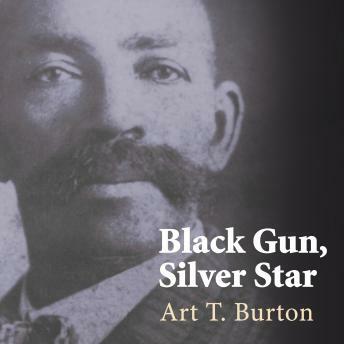 A finalist for the 2007 Spur Award, sponsored by the Western Writers of America, Black Gun, Silver Star tells Bass Reeves's story for the first time and restores this remarkable figure to his rightful place in the history of the American West.